Eagles are generally recognized as noble birds in flight. The Eagle is incorporated in the national symbol of more than 25 countries. The Golden Eagle ranges over most of the Northern Hemisphere, including most of the US and the former Soviet Union. 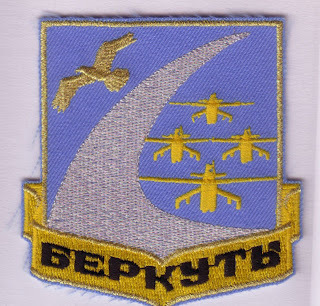 Military patches on both sides of the Cold War included Eagles. 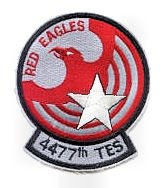 So it would seem natural for the 4477th Test Unit (Have Doughnut) to adopt a Red Eagle and so did we.